More than 10,000 defibrillators in the UK may be affected by a fault, which means they will not work in an emergency. The fault affects LIFEPAK 1000 devices, the Medicines and Healthcare products Regulatory Agency (MHRA) said. The manufacturer, Physio-Control, has sent a safety alert to those with the devices concerned, urging them to check the battery connection. 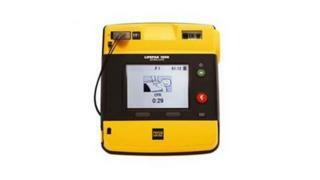 The defibrillators are intended for use by anyone in public places. They are found in schools, airports, leisure centres, hospitals, clinics and ambulances. Physio-Control said it had received 34 reports of incidents where customers had attempted to use the defibrillator and it had shut down unexpectedly during treatment. The MHRA said the fault was caused by an intermittent connection between the battery and device contacts because of wear and corrosion. This could fail to deliver an electric shock to resuscitate a patient, it said. There are 10,068 LIFEPAK 1000 devices in the UK. The MHRA said any users who had yet to receive the safety alert should contact Physio-Control directly. Guidelines for recommended use say LIFEPAK 1000 batteries should be removed and reinstalled every week. John Wilkinson, MHRA director of medical devices, said: "These devices deliver life-saving treatment and it is vital they operate correctly when needed in an emergency. "People who are responsible for them should carry out the checks recommended by the manufacturer. "If you have any questions, please contact Physio-Control on 0808 258 0094." In October, the same company issued a safety warning over two other defibrillator models.